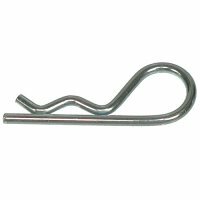 A reusable, easy to use spring-type cotter pin. Most commonly used to hold shafts and parts in position. A hole in the shaft is necessary to use this type of cotter pin for securing an assembly.